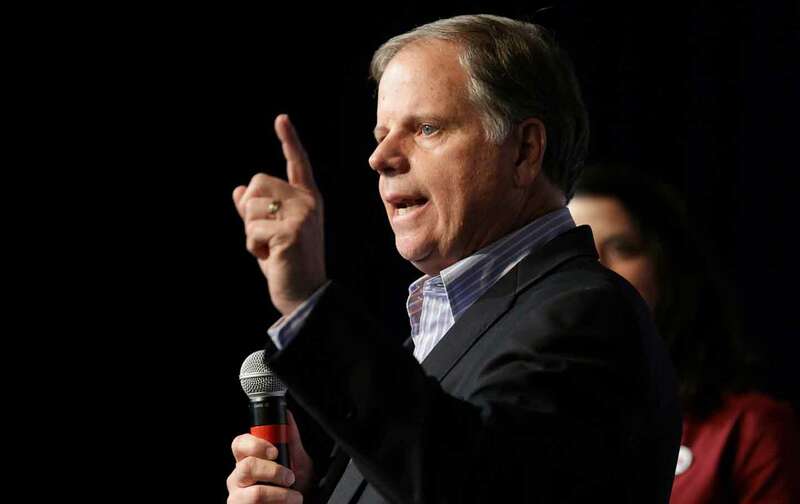 A week since Doug Jones’s stunning election to the Senate, the political world is still processing the shock of watching crimson Alabama turn blue. For progressives, there was poetic justice in a renowned civil-rights lawyer who prosecuted the Ku Klux Klan defeating an open bigot and alleged child molester, helped to victory by highly motivated black women who mobilized voters in their communities. Jones will now occupy an office previously held by Attorney General Jeff Sessions as well as Edmund Pettus, the Confederate general and KKK grand dragon whose name still defaces the Selma bridge where civil-rights marchers were beaten bloody in 1965. Beyond its symbolic power, Jones’s triumph has strategic meaning for Democrats as they look to 2018. Indeed, while the party benefited from President Trump’s plummeting approval rating and Republican nominee Roy Moore’s panoply of scandals, Jones could not have won such a close contest without critical choices made throughout the campaign. First, the outcome may have been different without activist groups’ commitment to registering black voters and ensuring their ability to cast a ballot. Alabama, of course, has been at the center of the battle for voting rights for more than 50 years, from the Selma-to-Montgomery march to the Shelby County v. Holder decision overturning key provisions of the Voting Rights Act. In 2015, Republican officials followed the implementation of a strict voter-ID law by trying to shutter 31 driver’s-license offices across the state. (After a national backlash, the offices were reopened “on a very limited schedule.”) If Moore had prevailed, Republicans’ ongoing efforts to suppress the black vote could have been the deciding factor.